Barbara Skelly is on the front lines of combining the healing power of art with the treatment of people with mental illness. 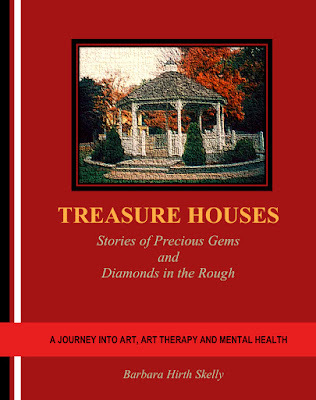 In her memoir, Treasure Houses: Stories of Precious Gems and Diamonds in the Rough, she chronicles her life as an artist and as an art therapist through the lens of her own struggles with bipolar disorder. Her journey is replete with creativity, service to others and her need to find a spiritual connection. Stay Thirsty Magazine was pleased to visit with Barbara Skelly in her home in Seattle, Washington, for these Five Questions about her life, her art and her struggles with mental illness. STAY THIRSTY: In your memoir, Treasure Houses, you chronical your life as an artist, art therapist, a wife, a mother and a friend. At this point in your life, what motivated you to take on this project and reveal so much about your personal history? BARBARA SKELLY: Treasure Houses has been in the works for over forty-five years. It evolved from journals I have kept since 1973 when I received my Master of Fine Arts degree from the University of Washington and started creating and exhibiting my metalwork and enamels. I worked on the manuscript periodically over the years but really didn’t get serious about it until about four years ago. That is when I went off psychotropic medications I had taken since 1988 to treat bipolar disorder. Although the prescribed lithium allowed me to function successfully in my personal life as well as an artist and art therapist, it seriously limited my creativity. When the medications started to negatively affect my physical health, I turned to alternative treatment interventions including naturopathic medicine, acupuncture and art therapy. Not only was my mood disorder treated successfully, my creativity returned with a passion and I began to work on my memoir again. While experiencing these new treatment interventions, I changed my art medium from the time-consuming enameling processes to more expressive work through acrylic painting. I also realized I had a compelling story to tell that could offer hope and help for individuals and their families impacted by the challenges of mental illness. STAY THIRSTY: What is more fulfilling for you – to create art or to work with fragile elderly populations as a therapist? 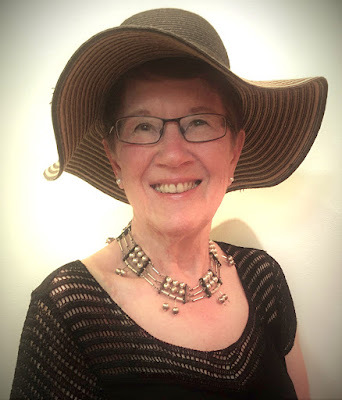 BARBARA SKELLY: The heart of my memoir chronicles the work I did as an art therapist with chronically mentally ill older adults in community mental health agencies prior to establishing my private practice in 2000. This was a difficult population to work with. Not only did I hear heartrending stories of harsh treatment clients received for their treatment, as a wounded healer myself being treated for bipolar disorder, I also found myself frequently identifying with them. It was my artwork and my knowledge of art therapy that allowed me to work with this fragile population while also taking care of myself. I took the stories I heard from clients in my day treatment program to my art studio and created little houses to contain them, as well as my strong emotional reactions to them. Then I recorded the stories in my journals which eventually became Treasure Houses. Without those art therapy processes that I used with my clients, as well as for my own self-care, I would not have been able to work with these fragile elders for as long as I did. Now that I work in private practice, I continue to use art therapy with more functional clients. However, I am now finding that creating and exhibiting my paintings of people I encounter in my daily life is becoming increasingly more fulfilling. I am also working on a new book entitled Madonnas and Ladies in Hats. This book is about the purpose women often find in life beyond that of the important role of being a wife and mother. STAY THIRSTY: As you reflect on your personal mental health journey, what advice do you have for other grandparents, parents, children and grandchildren? What tools have helped you navigate the many complex levels of your life? BARBARA SKELLY: I see many family members of individuals suffering from mental illness in my therapy practice. My personal experience has given me valuable insight and tools for helping them. Unfortunately, mentally ill people often provide tremendous challenges for their loved ones. They resist treatment, they won’t take their medications, they exhibit difficult behaviors that stretch your patience. Often relationships are broken and the number of mentally ill people who become homelessness is evidence of that. There isn’t much you can do to help someone who refuses your help. I tell family members to try not to define the sum of their loved one as the obvious difficult symptoms of their illness. I encourage them to think of that person as someone you care about who is suffering from an illness they can’t control, someone who needs your understanding and compassion. In other words, mentally ill people have an illness, they are not the illness. Personally, I have always been compliant with treatment recommendations. I finally have experienced remission through naturopathic medicine that does not have the severe side effects I previously experienced through conventional medicine. I use my artwork to stabilize my moods by processing thoughts and feelings visually and with music. I also spend as much time as I can with my seven-year-old granddaughter teaching her about art and going on adventures with her. STAY THIRSTY: How important have close friends been to you? BARBARA SKELLY: I have always cultivated strong friendships ever since I was a young child. I still have friends I connect with that I have known for over sixty years. These friends, along with teachers and a vast variety of mentors throughout my life have provided me with the emotional support that I was unable to get from my own biological family. They were and continue to be an important part of my healing journey. In my work as a therapist with my elderly clients, I provided a day treatment program. We made art, we danced, we sang, and we cooked together. We went on van rides in the community. We also grieved together when a member of the group died. Many of these individuals no longer had supportive families in their lives; they had burned them out long ago. The day treatment program I coordinated provided a supportive community that was every bit as important as the medications the medical staff prescribed. Clients who might have spent years of their lives in isolation improved and even thrived in the company of their peers. 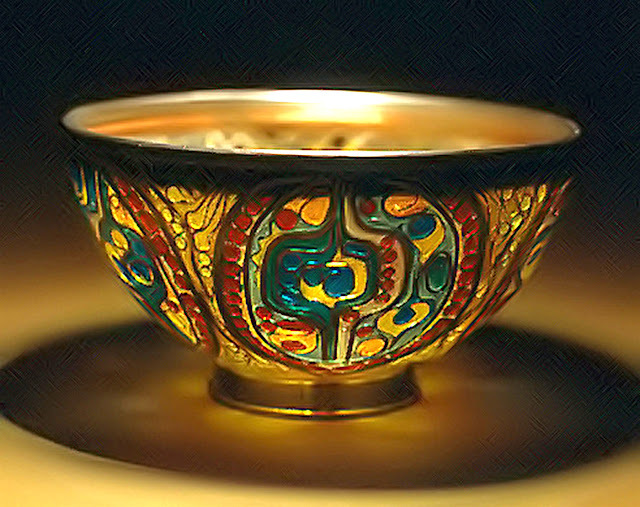 STAY THIRSTY: At the end of your memoir, there is a photograph of a cloisonné enamel piece that you created in 1978, entitled “The Stone That the Builders Rejected.” How does that piece represent your sense of spirituality and fate? BARBARA SKELLY: I experienced numerous losses during one week in the month of August in 1986. My priest, one of the first women ordained to the priesthood in the nation was accused of heresy for engaging in questionable new age practices. The church polarized in a frenzy of national news coverage and she ended up quitting. That same week my divorce was finalized and to make matters even worse, my car died. In one week, I lost significant supports in my life when I needed them the most. This led to a mental breakdown and the eventual diagnosis of bipolar disorder. In response, I walked away from the church that had been an important part of my life for many years and stayed away for the next thirty years. Prior to this time, I had been creating liturgical artwork and had volunteered to create the Stations of the Cross for the small suburban Episcopal Church I attended east of Seattle. “The Stone That the Builders Rejected” (Psalm 118:22) is a 5” x 7” cloisonné enamel plaque, one of the fourteen stations, a devotional procession taken by observant Christians during the Easter church season. 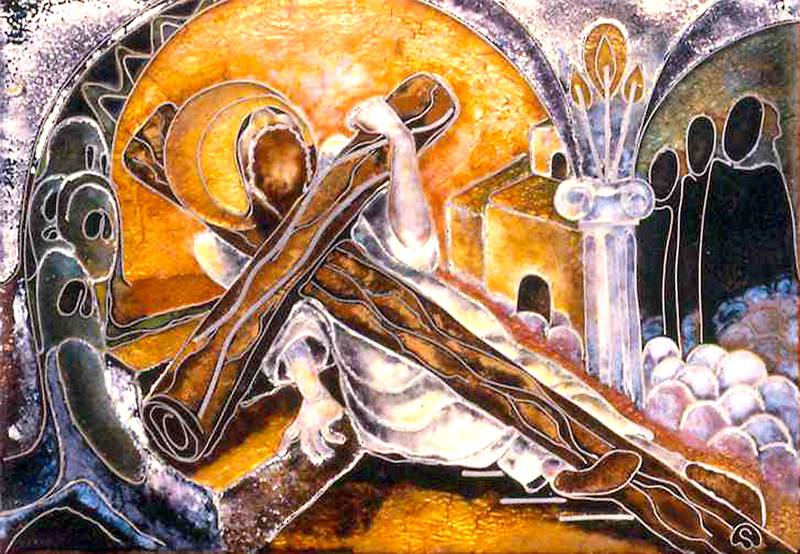 “The Stone That the Builder Rejected” represents Jesus taking up his cross on the road to his crucifixion. This was a very large project I had undertaken. When the priest who had commissioned me to do it moved to another church, the new female priest who replaced him was less supportive and the project was soon abandoned. The plaques completed up to then were dispersed to parts unknown. I sold some and gave others away. I ultimately lost track of what happened to them. Well, almost forty years later when I received an email from a woman in Spokane, Washington, who had acquired the “The Stone That the Builders Rejected” and was seeking information about it, I was completely taken aback. The email was also received fifteen minutes after I had taken a phone call notifying me of the impending death of an old friend, another priest who had originally introduced me to the Episcopal Church. That unlikely coincidence quickly dispatched me back to church, one located just minutes from my home. It soon became my church community and I have been attending ever since. That was about a year and a half ago. It is my belief that to be healthy and function well, one needs to have the physical, emotional, mental and spiritual elements all in balance. With my return to a spiritual home, I now feel that I have attainted that. Though I no longer produce liturgical artwork, my art, my writing and my life are all firmly rooted in a spiritual base which is also the source of my creativity. My treasure house is complete!